All gift cards are delivered by email. Give the gift of music. 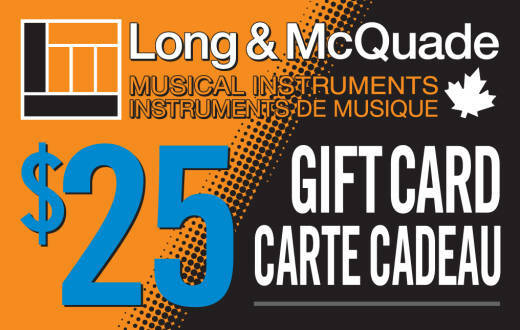 A $25 gift card redeemable at any Long & McQuade location! It is your standard gift card, it is good to give as a gift and helps people buy what they want.